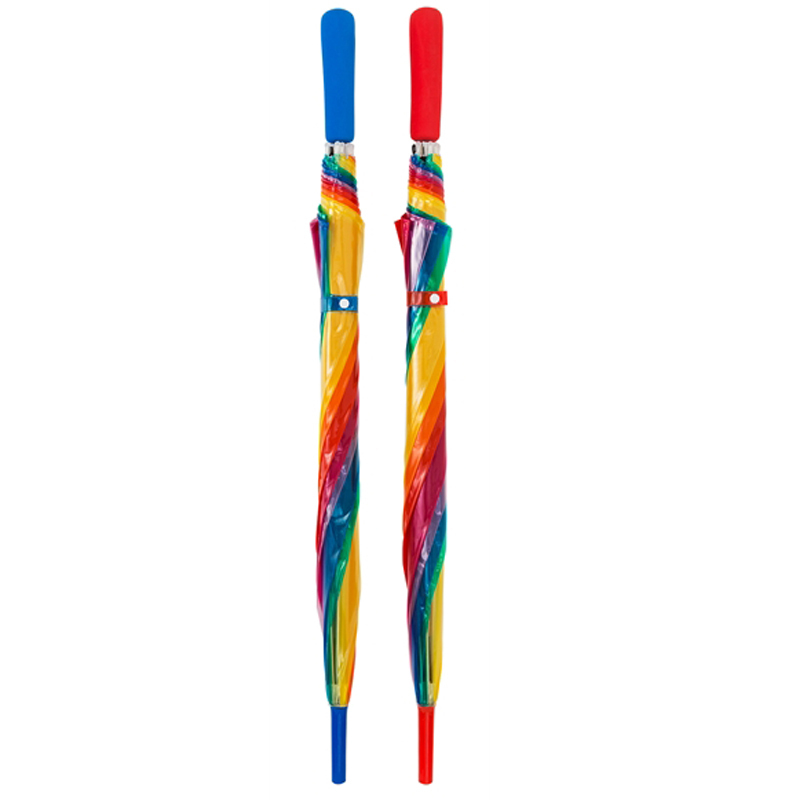 Clear Rainbow Umbrella - Bright and cheerful! This cheerful clear rainbow umbrella is the cheaper solution to keeping you fly and dry in a storm! Its EVA handle has a choice of 2 colours, red or blue. 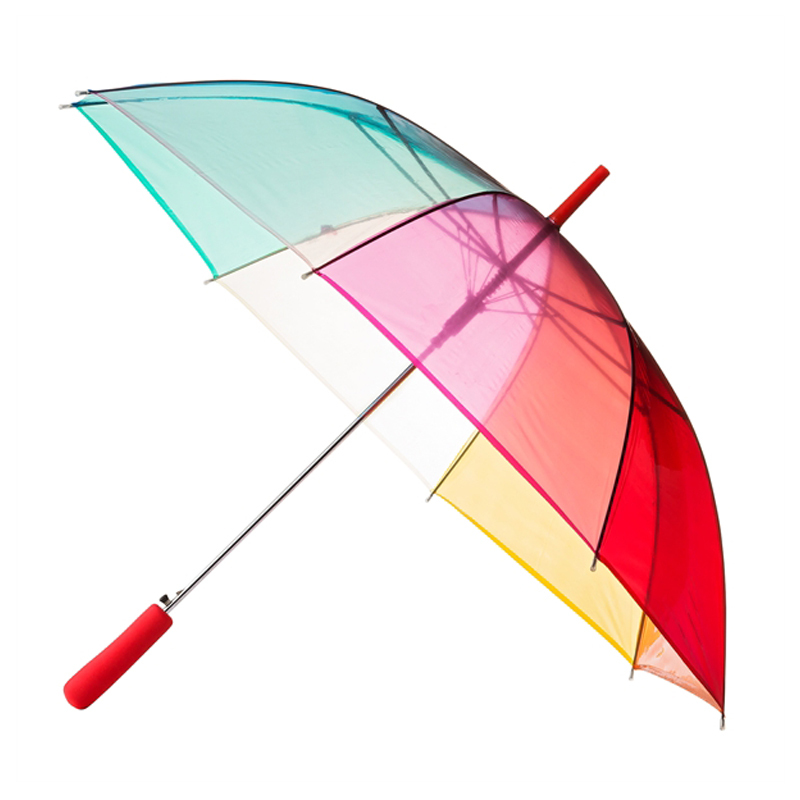 This clear rainbow umbrella is perfect for anyone wishing to turn some heads. 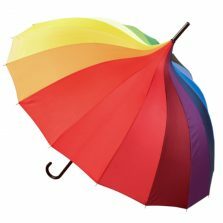 Transparent multicoloured umbrella features a wonderful, 100% polyethylene (POE) rainbow canopy to brighten anyone’s mood on a cloudy day. 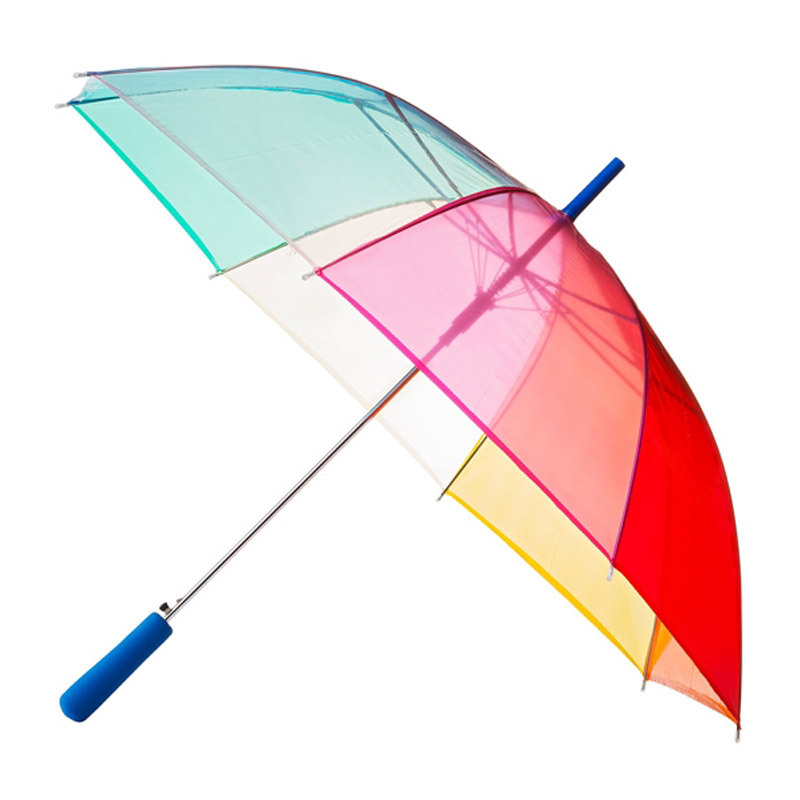 This brolly boasts an auto-opening feature, with 8 metal ribs to help fight the wind. With a span of 96 cm (38 inches) and a length of 82 cm (32 inches), this umbrella is the perfect solution to keeping you both dry and stylish for minimal cost! 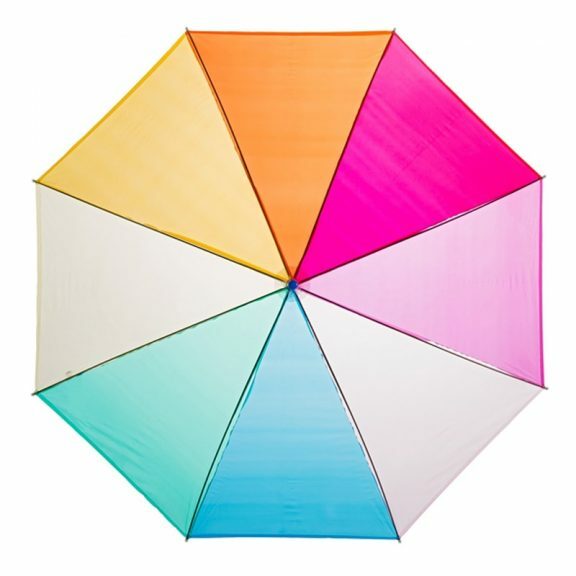 Looking for children’s rainbow umbrellas so that the whole family can have that “coordinated” look? No problem. 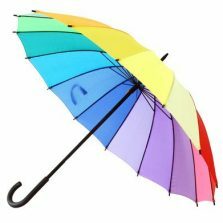 Check out our Kids Rainbow Umbrella here. Not the umbrella for you? 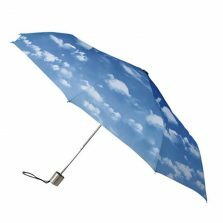 Check out the rest of our dome umbrellas!